On Tuesday gold futures came under pressure again on the back of a rampant dollar which hit a four-year high against a basket of currencies of the major trading partners of the US. In late afternoon trade on the Comex division of the New York Mercantile Exchange gold for December delivery was changing hands for $1,208 an ounce, down more than $10 an ounce or 0.8% compared to Monday's closing price. Earlier in the day the price of the yellow metal hit $1,204, but found some support after the dollar pared its gains following disappointing data on home prices in the US released on Tuesday. After closing 2013 at $1,205 the price of gold jumped out of the starting gate, rising consistently to reach a high of $1,380 in March. But the subsequent retreat accelerated during the third quarter with a loss of 6.2% in September alone. September was the worst monthly performance since June 2013 when gold lost 28% over the course of the year. 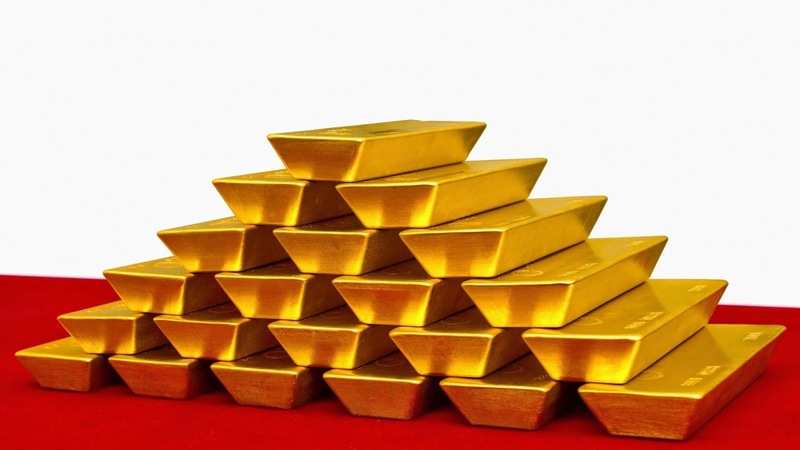 Historically holding gold going into September reaps investors a more than 3% return. The steady decline over the course month is contrary to usual trading patterns – historically holding gold going into September reaps investors a more than 3% return. Both large investors and retail buyers seem to be abandoning the sector. The third quarter is the sixth quarter in a row holdings in global exchange traded funds backed by physical gold have seen a reduction. Overall gold bullion holdings are now at five year lows and a whopping 950 tonnes below the record 2,632 tonnes or 93 million ounces reached in December 2012. On the futures market speculators have also turned decidedly bearish. Bullish bets on gold – net long positions held by large investors like hedge funds – fell by 20%, in the week to September 23 according to Commodity Futures Trading Commission data – the lowest point this year. Silver futures also had a dismal day with December contracts falling to a day low of $16.85, down over 4% on the day and a more than 13% decline for the month. By late afternoon the metal had recovered somewhat to trade at $16.99, still the lowest since January 2010. January platinum futures – the most active contract on the Nymex – briefly dropped through the $1,300 an ounce level. The precious metal fell 8.8% in September, but sister metal palladium was the biggest loser – down nearly 15% in September. It is worst month in three years for palladium as it declined from 13-year highs at the end of August above $900 an ounce. Copper was also in danger of falling through key support levels with December deliveries hitting a day low of just above $3.00 a pound, down nearly 5c on the day.